For this exhibition, we shall be exhibiting a rarely seen series of work. Entitled El Circo [Circus], it captures another group at the margins, circus workers, offering a back door view of the life of the circus. 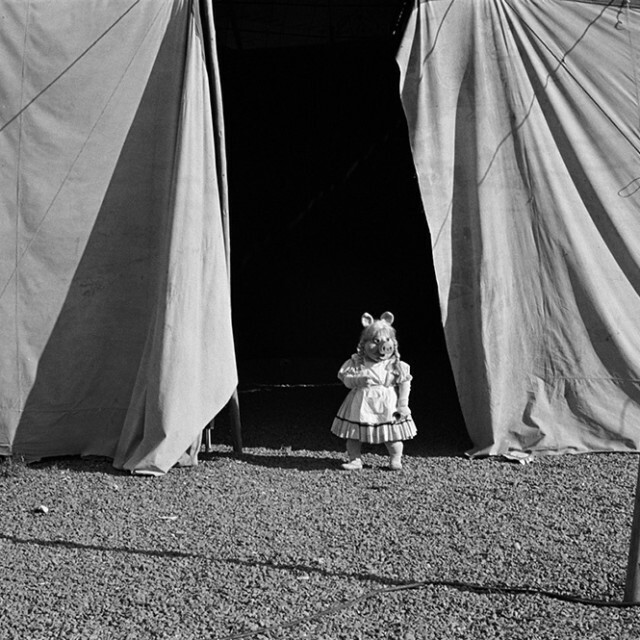 Errázuriz started the series in 1984 and over the following five years she lived for long periods with the members of the itinerant circus caravans that are depicted in the photographs. This embedded way of working, where the artist is not an observer but rather an active part of the group she is capturing, on the inside, has often been repeated in later series of works by the artist and is fundamental to her practice. It represents her approach of dignifying her subjects, rather than objectifying them. The series consists of 28 images and this is the first time that it will be exhibited in its entirety. When viewing photographs by the artist of this period, it is crucial to acknowledge the context in which Errázuriz worked – the Chilean dictatorship of the mid-1970s and 1980s. Crucially, Pinochet banned international photojournalism – registering life through photography was an act of resistance. Equally, it was not acceptable to be a woman by herself in the streets taking photographs. By undertaking this series, Errázuriz put herself in jeopardy and at considerable personal risk. Equally, in the photographs, Errázuriz presents a singular and striking human narrative in the throes of dictatorship.